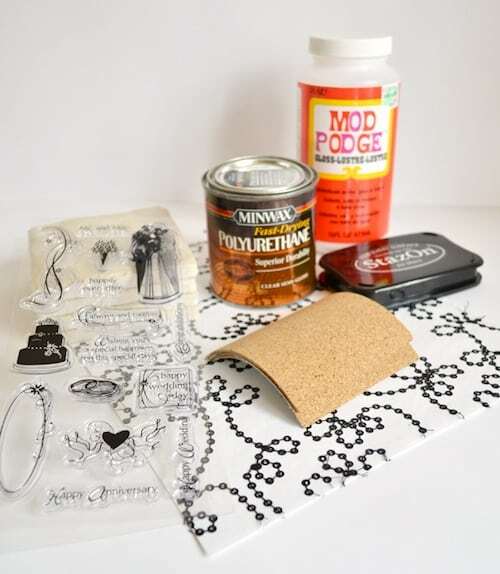 Home / Mod Podge Crafts / Wedding / Mod Podge Coasters Tutorial – Two Ways! 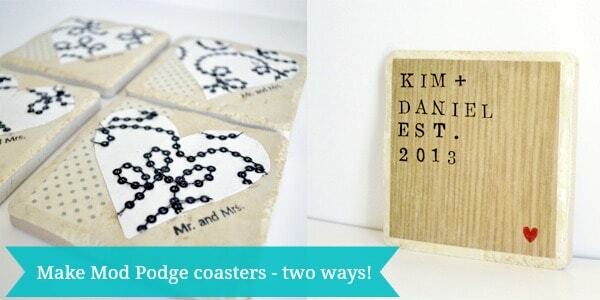 Mod Podge Coasters Tutorial – Two Ways! 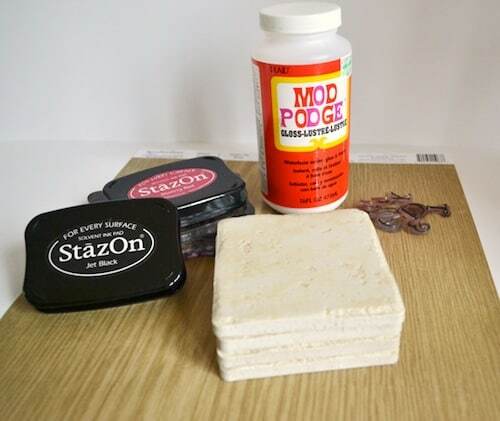 This awesome tutorial shows you how to make Mod Podge coasters two ways! 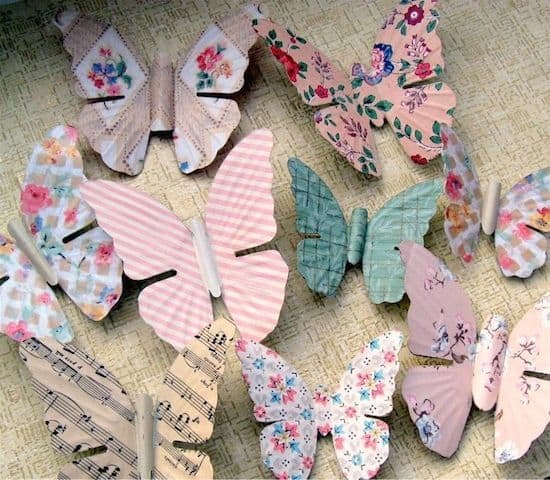 These decoupage coasters make great gifts for several occasions. 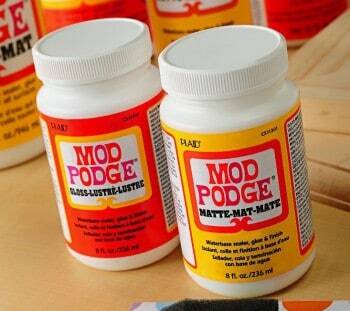 Hello, Mod Podge Rocks readers! 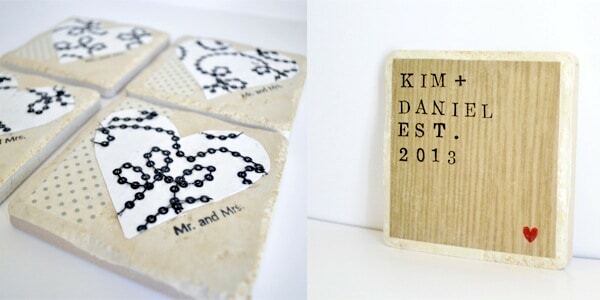 It's Linda here, from burlap+blue, and I'm here today to share with you a meaningful and unique craft for all of those upcoming Spring and Summer weddings: Mod Podge coasters. 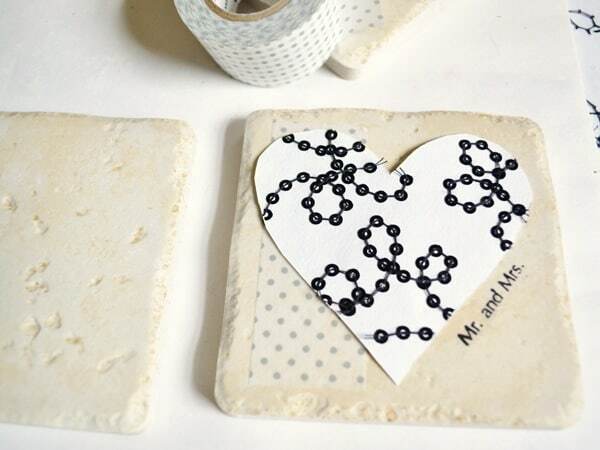 Whether you need a wedding gift, a bridal shower gift, or a housewarming gift for the newlyweds, these personalized Mod Podge coasters are sure to be treasured by the new couple. 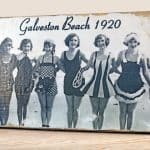 I'm going to show you how to make each style above, so let's get started! Step 1: Cut a heart out of cardstock, and use this to trace and cut out four hearts out of your scrapbook paper. I found this textured, sequined paper at Michaels, and thought it was perfect for this project! Step 2: Before affixing the hearts onto the tiles, I added a strip of washi tape down the side of each coaster tile. 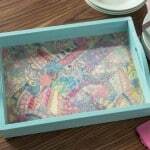 If you don't have washi tape, you could easily use a length of scrapbook paper for this step! 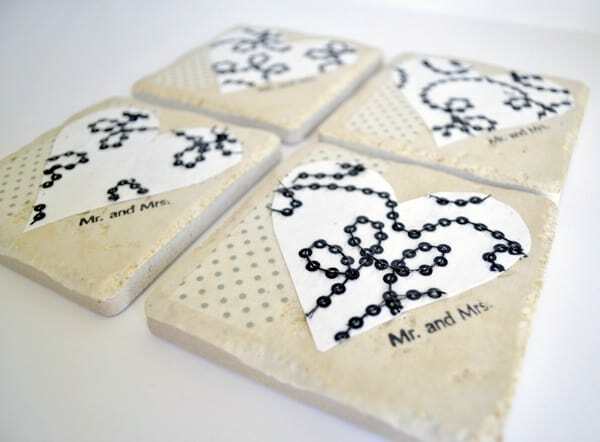 I liked how this addition added a bit of dimension and contrast to the coasters. 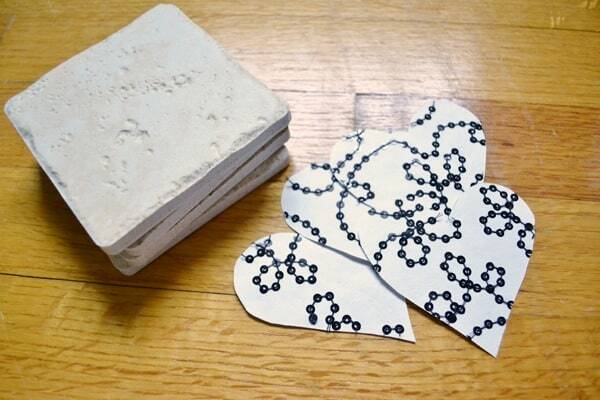 Next, place the hearts on your tiles and use your stamps (or your handwriting if you are lucky enough to have pretty penmanship!) to stamp out “Mr. and Mrs.” or “love” next to your heart. Here's what it looks like before Mod Podging . . . 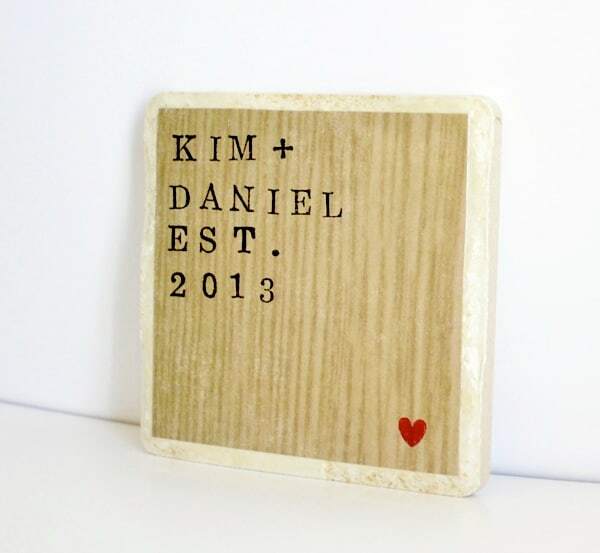 Step 3: Remove the heart, and place a layer of Mod Podge over the entire coaster, directly over the washi tape and stamped words. Place heart back on tile and smooth down. Once dry, finish by adding another 2-3 coats of Mod Podge, and a coat of polyurethane sealer for extra durability (if desired). 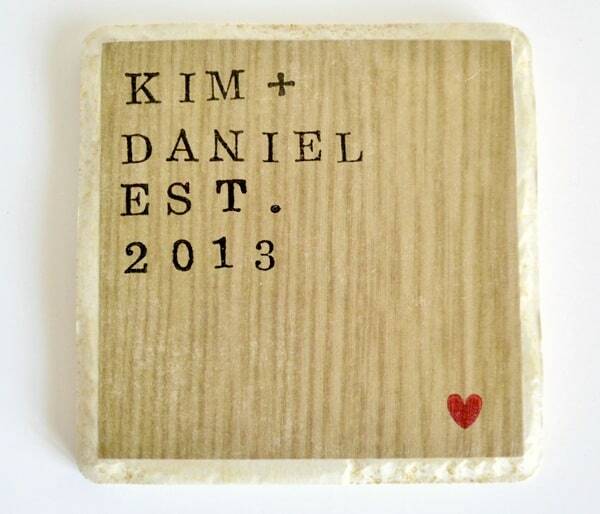 Step 4: Add cork (or felt) to the backs of the coasters so that they don't scratch the newlyweds' furniture, and you're done! Wrap in tissue paper and ribbon, and you've got a unique and useful gift for the new couple. Want another idea? 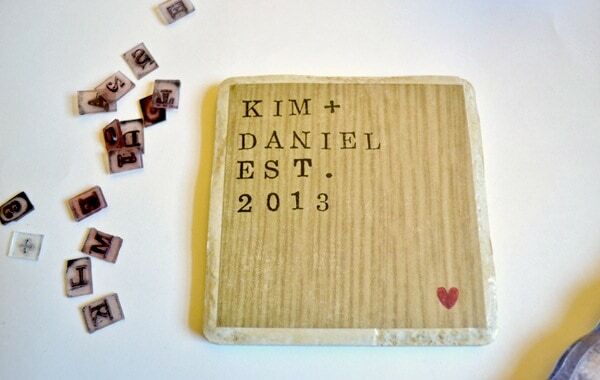 How about a DIY coaster set personalized with the couple's names and wedding date? 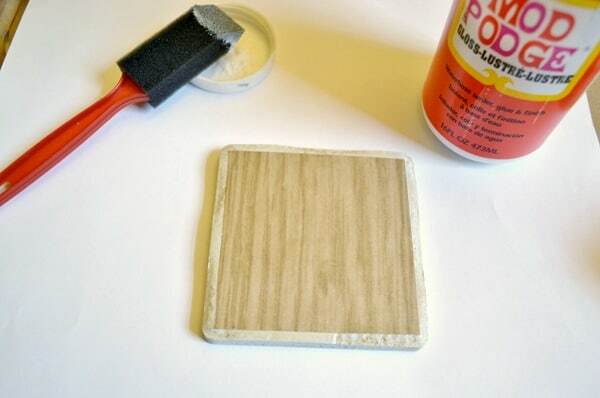 Step 1: Cut square pieces of scrapbook paper (I love this wood grain pattern) to fit your coaster tiles. 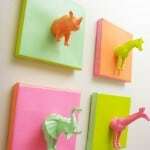 Decoupage them onto your coasters. Step 2: Using your stamps, stamp out the names/date/etc. that you'd like on your finished coasters. Step 3: Seal with 2-3 coats of Mod Podge, and a coat of polyurethane (if using). Back with cork. 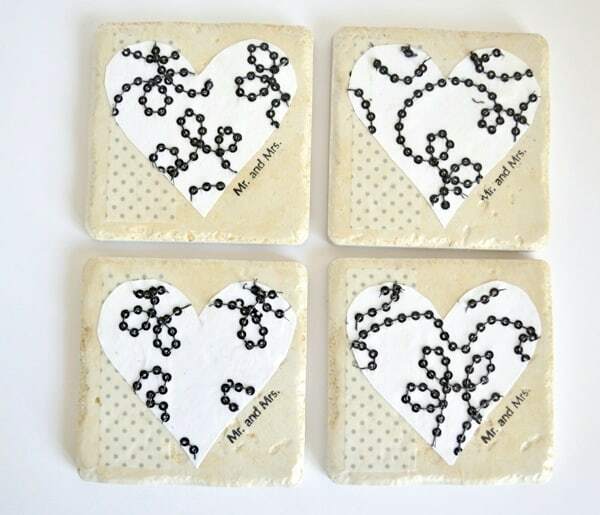 Thank you so much for letting me share my Mod Podge coasters with you all today! 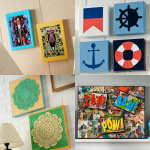 You can find lots of other tutorials and inspiration on my blog, burlap+blue, on Pinterest, on my facebook page, or on twitter! Have a lovely day! Love the stone tiles! 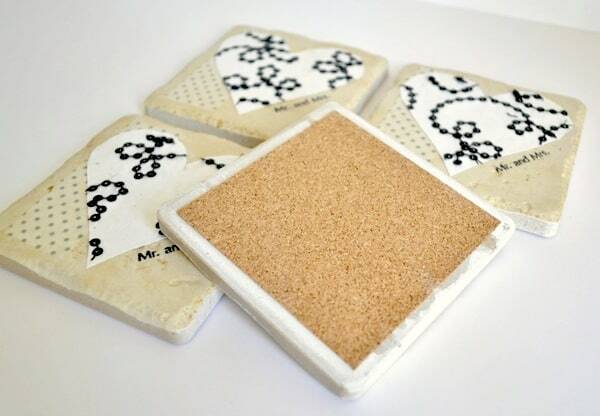 I normally make coasters using the cheap plain white ones, but I’m definitely going to have to give this a try next time, great effect!